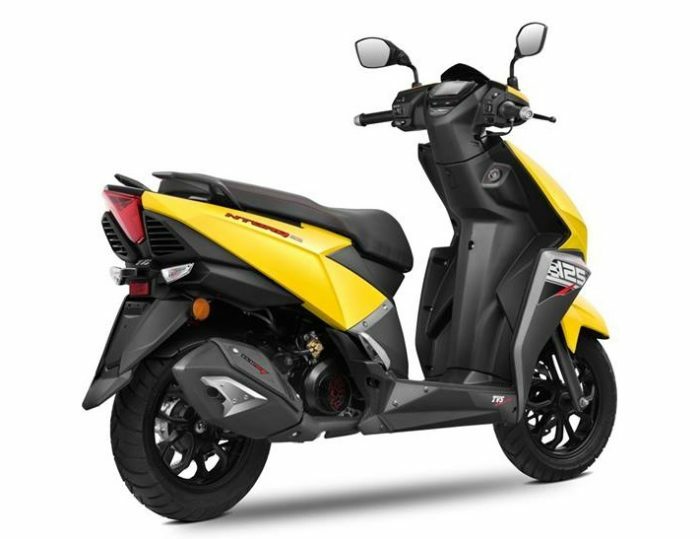 Will this be TVS’ Flagship 150cc Scoot? Shall we get ready for Ntorq 150 launch after the 125? TVS has been aggressive with the showcase of futuristic products at Auto Expos. However, all the products they put on display look achievable unlike many others who just showcase ‘concepts’ to bring in crowd to their podiums, without any substantial plan! TVS could easily be called as the fastest-to-production with respect to the time taken to take concepts to production – the latest example is the brilliant Apache RR 310 (read review)! Among many others, one very interesting concept Entorq 210 was on display at 2016 Auto Expo. 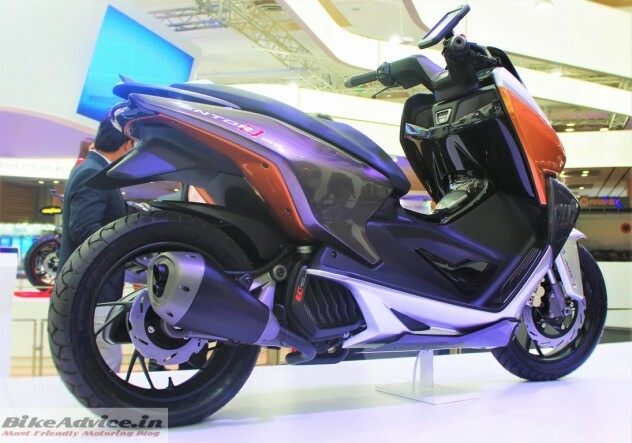 Powered by a 212 cc liquid cooled engine, superior performance with a top speed of 120 kph was projected. In a latest update, after turning Graphite concept into Ntorq 125, TVS has turned its attention to the Entorq 210. According to a report at Bikewale, TVS is working on its flagship scooter which will most probably be the production version of Entorq or will be based on it. Quite naturally, expect a smaller 150 cc engine to propel the scoot which will mark TVS’ entry into this segment – could be the first since no other mainstream maker currently has a 150 scoot on offer! Expect it to be feature loaded with remote keyless start, dock for smartphones, Bluetooth smart connect etc. And since it falls over the 125 cc displacement bracket, TVS will have to plonk an ABS system on it. It will be interesting to see if they downgrade to single-channel units considering that they are the only ones to offer proper dual channel ABS units on 180-200cc Apaches! The report says that next year looks opportune for such an entry. This will give them ample amount of time to settle and learn from their latest sensation Ntorq 125 (which is doing some real good business). 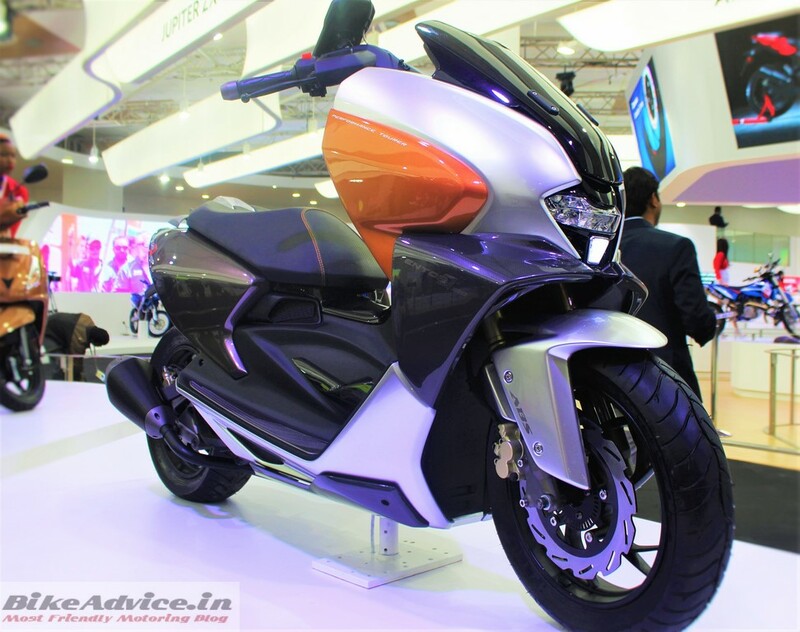 It is possible that TVS may continue to explore and promote Ntorq brand with their upcoming 150. Once launched, it will slug it out with Aprilia RS150 and the Vespas. You can read more about Entorq 210 concept here. Things are surely getting interesting in the ‘exciting segments’ in India – let us wait to see what TVS has in store for us.